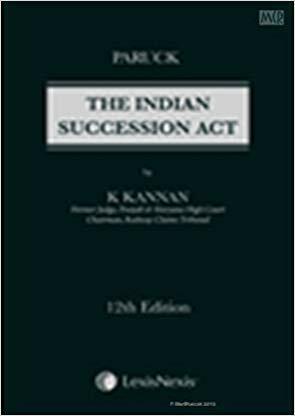 This Title is the most comprehensive and authoritative work on the Indian Succession Act that explains and illustrates the provisions of the Act in a lucid, comprehensive and systematic manner. It intends to capture all major landmark judgments of Supreme Court and various High Courts. All the legislative changes have been duly incorporated. It is a standard reference for Judges, lawyers, In house Counsels, Law firms, students, law professors and research scholars. Key Features: This Edition has been extensively revised to incorporate the relevant and current landmark judgments of the Supreme Court and various High Courts. Up to date with the recent case laws and development since the last publication. Table of Cases and Subject Index has been updated. Overruled decisions have been checked and changes have been made accordingly. Synopsis of every chapter has been incorporated. The book offers a systematic explanation of the provisions of the Act and is arranged under logical chapters and headings. The Edition contains synopsis of all the chapters making it user friendly All the major legislative changes and the amendments have been incorporated. The Book intends to incorporate landmark judgements of various High Courts and Supreme Court.